Costa Rica has been blessed with hundreds of beaches, which turns the country into a real paradise for surfers! And the short driving distances between one and other will give you the pleasure to combine the Pacific and the Caribbean waters without problem. 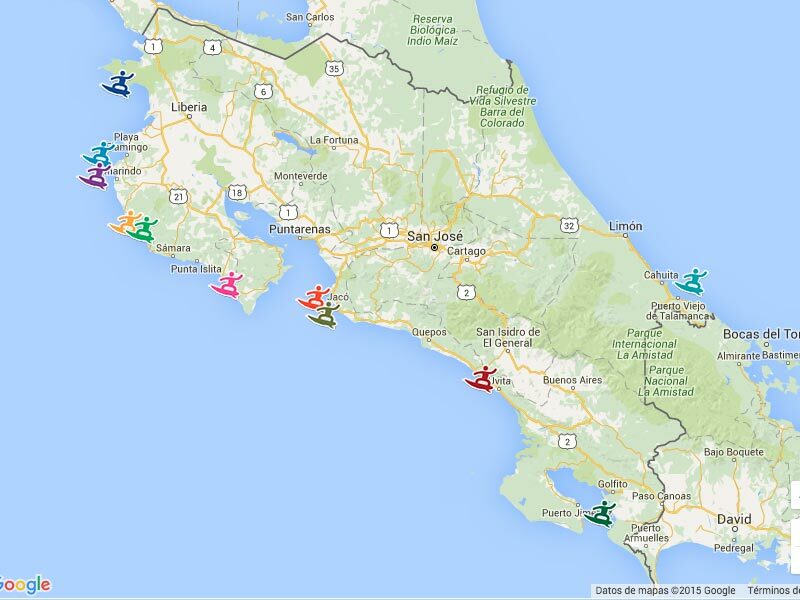 This map of Costa Rica beaches highlights the best surfing spots in the country such as Santa Teresa, Playa Hermosa, Tamarindo, and Jaco. The country is home to some of the best and most recognized surfing destinations in the world. If you are planning a Costa Rica travel soon and you want to have some fun under the sun and among the waves, then you should read this small guide; we will give you a brief explanation of which are the best places to practice surf. 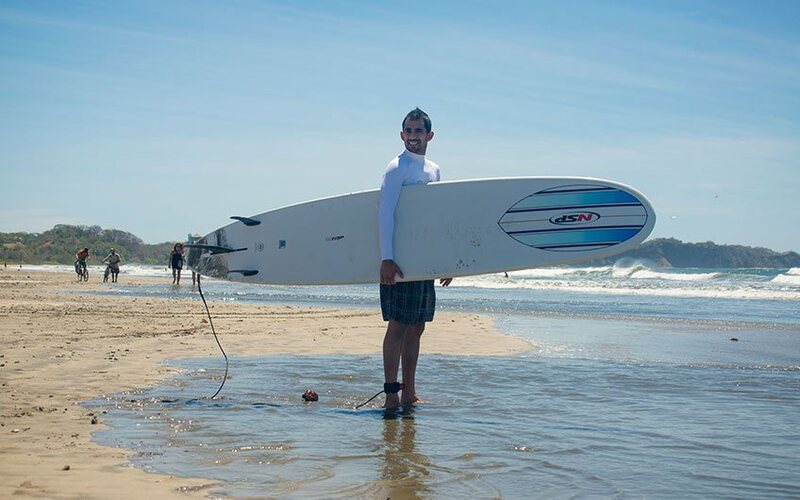 It doesn’t matter if you are an experienced surfer or if this will be your very first experience on the surfing board. Costa Rica is an ideal place to come and relax with your group of friends, your couple in a romantic escapade orwith your whole family. The country is full of different Costa Rica tours that will give you an adrenaline rush while enjoying your days in paradise. And, as mentioned before, part of this fun can be found on a wave, practicing this great sport. The position of the country allows both, locals and visitors, to enjoy beaches in the two sides: the Pacific and the Caribbean. Costa Rica is blessed by having access to the Pacific Ocean and the Caribbean Sea, this means that we have a great amount of little and beautiful beaches to enjoy. If you are a beach lover, then Costa Rica is your place! 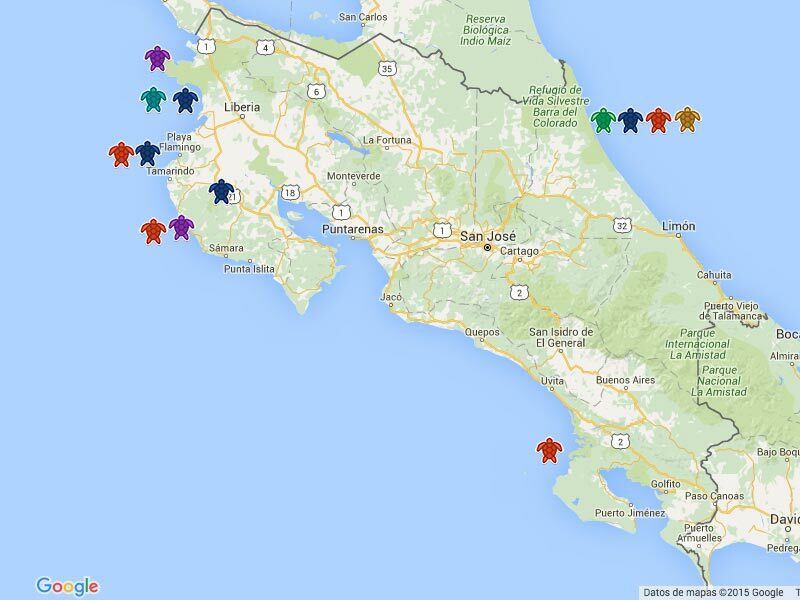 Here, we are going to list the best places for you to visit during your Costa Rica holidays. 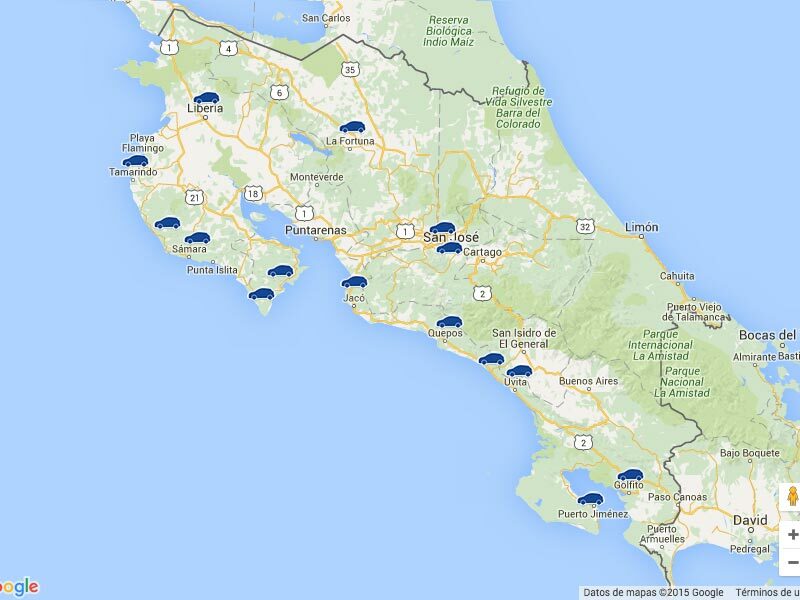 We made a separation of the Costa Rica beaches according to the region where they are located, in order to ease you the planning of your Costa Rica vacation packages and your itinerary. The Central Pacific of Costa Rica is considered a place with some of the prettiest beaches in the country, such as the Manuel Antonio National Park. But, in this case, we are going to talk you about Jaco Beach, which is one of the greatest places to practice surf, due to its closeness with the capital city of San Jose Costa Rica. The distance of these beaches from the Juan Santamaria International Airport is of approximately 87.58 km | 54.42 mi. This means that you can get there in about one hour or one and a half hours, depending on the traffic. 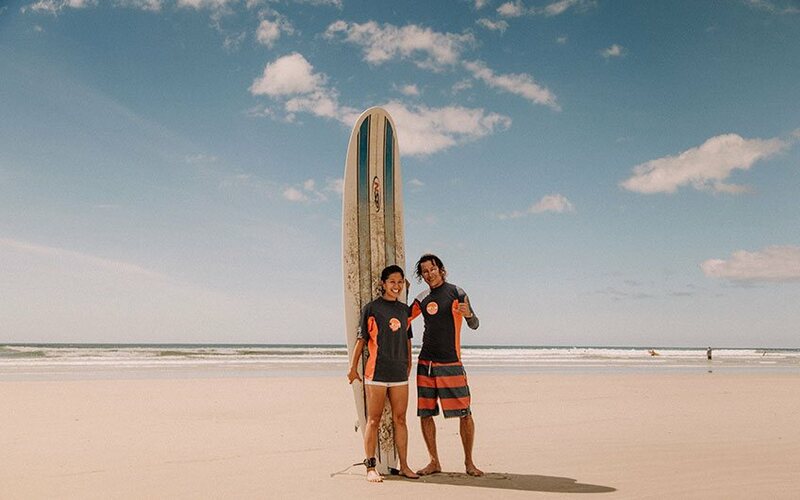 As we mentioned before, Jaco is the nearest surf spot from the capital city of San Jose, you can get there by driving your own rented car, by public transportation or with one of our guides and drivers. This place is perfect for those travelers who don't have a lot of time during their Costa Rica vacation or for those who want to combine different destinations during their stay. This popular beach located in the pacific of Costa Rica is also a town full of great nightlife and is also a good place to learn how to surf. It's important to take into consideration that Jaco is one of the most popular beaches among the locals, thanks to its proximity to the city. This means that the beach is mostly quiet during the week but it tends to be very busy during weekends, as many people travel there to spend their weekend. This beach offers plenty of lodging options for all budgets. From small hostels, surf camps to all-inclusive resorts. Jaco is a good surf spot all year round and you can also find different activities related to surf there. Nearby Jaco it's located another popular surf spot: the Hermosa Beach. This beach is located just 10 minutes away driving from Jaco but its currents are stronger, which means that Hermosa Beach is not recommended for swimming or for first-time surfers. Different international surf championships take place in Jaco and Hermosa. In fact, the Quicksilver Surf Championship is hold in this beach every year in the month of August. The best time to visit Hermosa beach due to the Costa Rica weatheris from April to November. The province of Guanacaste is one of the prettiest places of Costa Rica. This means that this place is very visited by tourists and locals alike. The landscapes here, as well as the sunsets, are amazing and quite special. You won’t experience a sunset as beautiful as the one that you can experience in this northern side of the country. The different beaches here have their own charm and even when they are close to each other, every beach differentiates from the others thanks to its very own and special characteristics. Not all the beaches in Guanacaste are ideal for surfing, so that’s why we made a selection of the best ones in order to give you some suggestions of which ones to visit if what you are looking for is exciting surf. Witch's Rock or Roca Bruja as it is also known in Spanish, is considered one of the best surf spots in Costa Rica. Only for advanced surfers due to the long waves and the windy conditions here, Witch's Rock is a perfect destination for practicing surf all year around. One of the most important things to consider when visiting this place is that the beach is located within the Santa Rosa National Park so you won’t find hotels or restaurants in the area. Most of the people go there only to spend the day since the only lodging option nearby is a camping area located at 20 km from the National Park entrance. If you want to truly enjoy your experience at Roca Bruja beach, then we recommend you to visit the place from December to March. This well-known beach is located at approximately 67.45 km or 41.91 mi from the Liberia Costa Rica International Airport. This makes it a great place to visit if you want to be near the main attractions of the area. There is also an airstrip so you can arrive by taking a domestic flight, as it is the best way to get there. The flight has an approximate duration of just 45 minutes. Tamarindo beach is one of the hottest surfing towns in Costa Rica and was named by Forbes Magazine as the Costa Rica's Most Popular Beach. One of the main reasons why this beach is so popular is due to its perfect waves, whether you are a beginner or an experienced surfer. Besides, it is also a very popular destination because it's located nearby other amazingly good spots for practicing surf such as Avellanas beach, Negra beach and even the mentioned before, Witch's Rock beach. Here in Tamarindo you can find that the place offers lodging options for all budgets, a variety of great dining places to taste the Costa Rica food and an amazing nightlife. This great surfing beach is located at an approximate distance of 65.08 km or 40.44 mi from the Daniel Oduber Liberia International Airport. This makes it a good option to visit if you are arriving at this airport to start your holidays in Costa Rica. This beach offers excellent surfing conditions and that is the main reason of why it attracts surfers from all over the world.The same as Tamarindo, this beach is also a good spot for surfers of all skill levels, but the region is not as developed as Tamarindo is, so there are fewer lodging and dining options to enjoy. If you want to come and see what we are talking about with your own eyes, then we suggest you to plan your vacation in order to arrive during the months from March to November. The beach of Nosara is a long and dark beach and it is ideal for intermediate to experienced surfers. It's not as crowded as other Guanacaste beaches such as Tamarindo or Grande beaches, but offers a variety of lodging options and delicious local restaurants. Named by the National Geographic in the top 20 Best Surf Towns in the World lso Best Destination to Visit in Costa Rica by the New York Times in 2012. We can assure you that the relaxed vibe you will feel while here compares to no other! The town of Nosara is located at a distance from the Liberia International Airport of approximately 113.69 km or 70.64 mi. You can access this place by land, driving or in a guided transfer, but we have to say that the best way to visit Nosara from San Jose is by booking a local flight to Nosara's airstrip that will take only 35 minutes. Besides, there is also another popular white sand beach, perfect for beginners and advanced surfers, nearby Nosara: Guiones beach. Guiones is perfect for first-timers thanks to its uncrowded waters. Consider this if you are traveling with your kids, as there will be fun for everyone. Santa Teresa beach is located at a driving distance of near 153.58 km or 95.43 mi from the Juan Santamaria International Airport. You can also consider to arrive in the international airport of Liberia Costa Rica. Santa Teresa beach is located in the Nicoya Peninsula and it's one of the most popular towns for surfers and yoga lovers. This town offers lodging options for everyone, no matter if you are looking for luxury boutique hotels or cheap surf camps. The best way to get here from San Jose is booking a local flight to Tambor airstrip that will take only 25 minutes. Otherwise, you have to make a road trip of 5 hours or combine a road trip with a ferry ride. Santa Teresa is a popular destination as it offers various reef breaks for practicing surf. Most of them are only for intermediate or pro surfers, so please take that into consideration. This place is located at a driving distance from Juan Santamaria International Airport of approximately 367.72 km or 228.49 mi. The beach of Pavones is a secluded spot located more than seven hours away from the Costa Rica international airport in the South Pacific of Puntarenas province. This location ensures privacy, clear waters and beautiful sceneries thanks to its wonderful landscapes, but at the same time, it makes unpredictable the surfing conditions. Some say that in a good day, Pavones is the best beach for surfing in Costa Rica. As an interesting fact, let us tell you that Pavones is one of the longest lefts in the world. The beach of Dominical is undoubtedly a must-visit place for surfers vacationing in Costa Rica as it has one of the most strong and fast waves in the country. Besides, as it's located not that far away, and has grown in the past years as a touristic destination, the town has a lot to offer for those looking to experience the authentic surf culture of Costa Rica. Dominical beach is a good spot for surfers of all skill levels and nearby this beach is located the Marino Ballena National Park, which is the best spot for whale watching expeditions. To get there, consider that this place is located at a driving distance of 193.52 km or 120.24 mi from the International Airport Juan Santamaria. 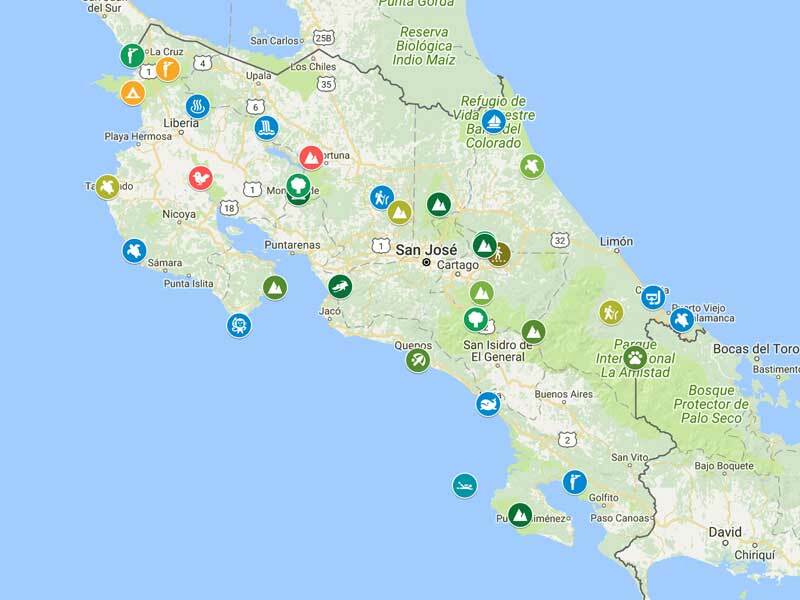 Considering the Caribbean side of the country is important to conclude this list of the best places to surf in Costa Rica. To get to Puerto Viejo you can drive approximately a distance of 232.4 km or 144.41 mi from the international airport in San Jose. The town of Puerto Viejo is a prime spot among surfers, and if you are looking to catch the perfect wave in your next holidays, surely you need to visit this place. Here, the legendary surf break knows as Salsa Brava – or Angry Sauce in English – is waiting for the experts. Salsa Brava is a multi-peak wave with a punchy left and a typically longer right, and it's considered the heaviest wave of the country. A real challenge for your vacations in Costa Rica! Puerto Viejo is located in the Southern Caribbean coast of Costa Rica. This means that everything is different here because in this part of the country, Costa Ricans live at their own tempo. Everything goes around the beach and surf. A relaxed and contagious vibe that you will love since the very first day here. To get there you can take a 30 minutes internal flight from the Juan Santamaria International airport to the province of Limon, and by choosing this option you will enjoy great views from above of the Caribbean coast of Costa Rica. We hope that this information was helpful for you and we are now waiting for you to come and visit our amazing beaches. Please, contact us if you need more specific information related to surf or to your next Costa Rica vacation, we will be more than glad to assist you in everything. Enjoy the waves! 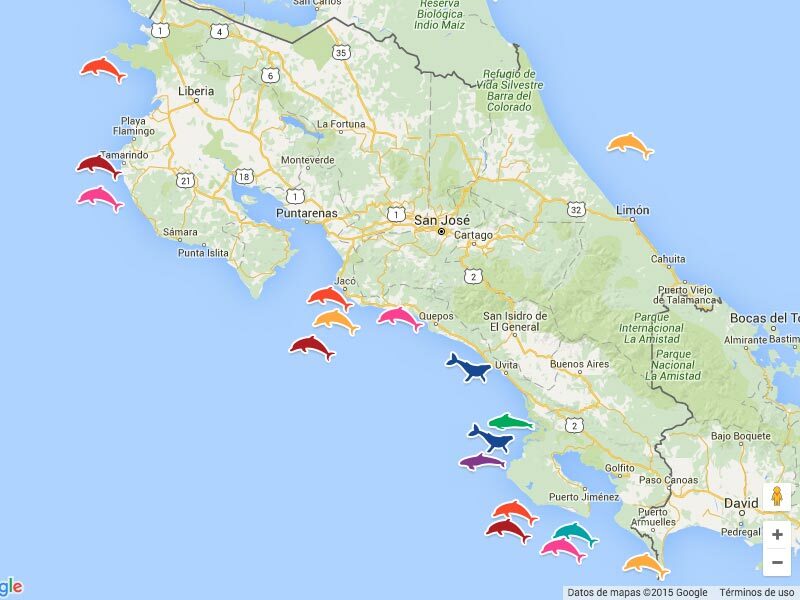 The warm waters of Costa Rica's oceans attract whales and dolphins from North and South America. In the correct season, is possible to observe females and their calves playing on the surface. The turtle nesting is an unforgettable experience and in Costa Rica, you and your family will be able to enjoy this moment if you travel in the correct season. Costa Rica has been blessed with hundreds of beaches, a real paradise for surfers! And the short distances between one and other, give you the pleasure to combine the Pacific and the Caribbean without problems. 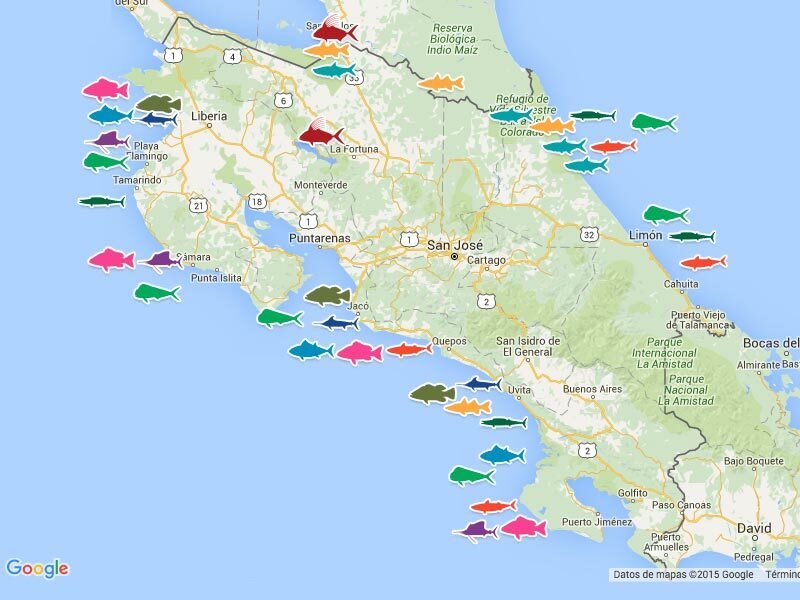 The number of rivers and lakes where it´s possible to fish in Costa Rica is countless! Prepare the cane and the hook and come to a paradise for fishing lovers. Renting a car in Costa Rica is a convenient way to travel the country. This way, you can control your time and itinerary…no worries about timings! 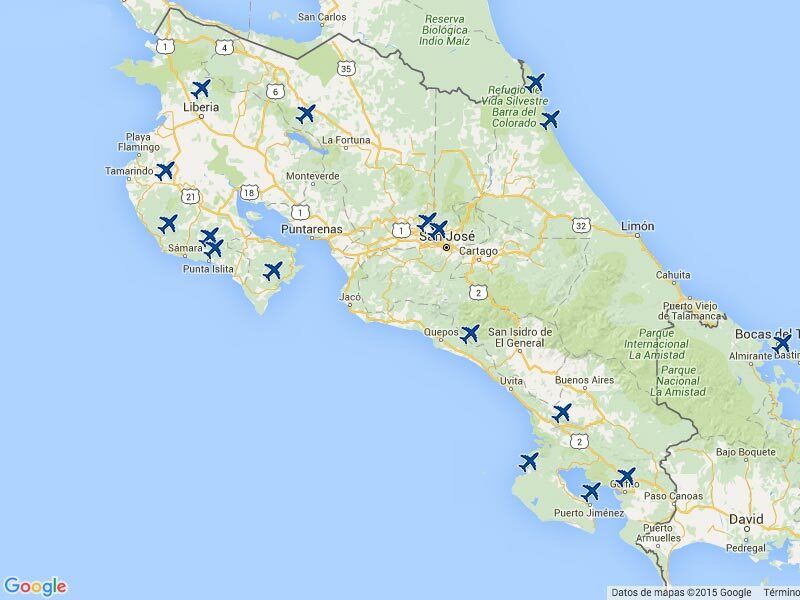 In Costa Rica there are two international airports and quite a few local airstrips, located in the main tourist destinations. International flights and convenient domestic flights operate daily in these airports. Costa Rica's privileged location in the center of the American Continent, is the main reason for its varied biodiversity. Flanked by oceans on either side, and part of the isthmus that connects North and South America. Family things to do in Costa Rica: Visit Monteverde! Costa Rica travel: Why visit the country with Travel Excellence?